Taking a page from Orrin Hatch's playbook, the Utah attorney general has apparently decided to join in the melee and file an anti-trust suit against the BCS. The politician in question, Mark Shurtleff, claims the BCS is an "illegal monopoly" and is seeking millions in damages for all the schools that have been left out of the lucrative postseason. Is this a major development as far as the playoff pushers are concerned? Hate to be the one to break it to you, Death to the BCSers, but this won't help your cause. 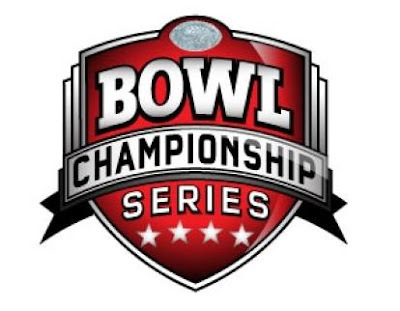 The Powers That Be who control college football's postseason – school presidents, not some smoke-filled back room of BCS conference commissioners – have no interest in letting football come under the control of the NCAA. They have already milked basketball for all it's worth, going from 64 to 68 watered-down tournament games simply for more revenue. They won't go down the same path with football. I know for a fact that it has been quietly said within athletic department offices that if the BCS is blown up, schools will simply go back to the way things were pre-1996: every school for itself in a free-market system. School presidents and athletic directors at the major schools know that the market share of their individual brands market is too valuable to dilute by letting any mid-major come strolling in and be televised on the contract that their schools leveraged. That TV contract is also a good chunk of the payout revenue bowls give. Killing the exclusivity and prestige that comes from being a big-time college football school means fewer fans buying their apparel and purchasing tickets to their games. That translates into diminished overall revenue, something that no one wants when trying to build new facilities to keep up with conference rivals. In today's economic climate, it's already nearly impossible for schools to financially support athletic programs. Schools fight hard to earn every dollar, and even harder to keep them. Without conference tie-ins, more than a few bowls will probably go under, with the remaining group fighting for name-brand schools to fill seats. Schools will continue to guarantee ticket allotments and hotel rooms to make themselves look better than the competition. Of the four schools that have recently "busted" the BCS – TCU, Utah, Hawaii and Boise State – two are headed to Big Six conferences over the next few years. This should be the model any wannabe contender follows. Boise should beg for a Big 12 bid to avoid being left out of the championship argument, and Hawaii should find a backup plan immediately. Or, they can always follow BYU's lead and go independent to play a tougher, more notable schedule. Determining a national champion will be tough, and the outcry will be great; but trust me when I say we don't want the NCAA anywhere near the controls of the sport we love so dear. This may not what people want to hear, but I hope through all this that finally the bowls will finally mean something again.